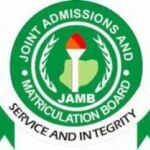 Jamb results for Jamb Utme 2017 has finally been released. Feel free to check your Jamb 2017 Result right now. The graphical result of Jamb held in May 2017 is being sent to candidates via SMS at the end of each day’s exam. You should get the results sent to you via Text message. That’s all, wish you success. Have you checked your Jamb score? Feel free to let me know how you feel.